The 5th smallest of the 50 states, New Hampshire is also known as the Granite State for its granite quarries and formations and quarries. Many people come to the relatively quiet state of New Hampshire to raise a family. Others move to New Hampshire to be closer to its many recreational attractions, with mountains perfect for hiking, skiing, snowmobiling and more. Some are fortunate enough to enjoy cottages and water sports along New Hampshire's lakes or seacoast. Whatever is drawing you to New Hampshire, All Jersey Moving and Storage has a team of professional movers that can help make you move easier and less stressful. Some moving companies zigzag across the United States, leaving concerned customers worrying about where there furniture and belongings are, who exactly is moving them and when they will see them again. 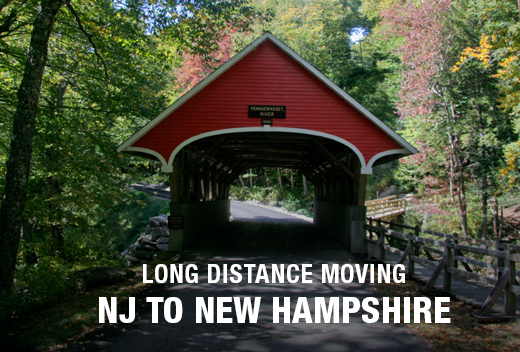 A reputable New Jersey based moving company, our long distance services encompass all 50 states. Similar to some of our long distance moving competitors, All Jersey Moving & Storage is associated with a major van line. By specializing in a focussed area and using our skilled movers and equipment, we are able to provide superior moving services. When you hire the All Jersey Moving and Storage team to execute your New Hampshire to New Jersey or New Jersey to New Hampshire move, you can expect our movers, our trucks and our reputation. That’s why we are capable of handling your long distance move with the same attention, care, and expertise that our local moving customers have grown to expect. If you're looking for a top-rated long distance moving company that has complete control over the quality of service from start to finish, you can have peace of mind turning to All Jersey Moving & Storage. Moving outside of our service area? Give us a call [hyperlink to contact page] and we would be happy to recommend a reputable moving company that provides the moving and storage services you need. In a hurry? Whether you're starting a new job or are anxious to get your kids acclimated to their new environment, we'll execute your move swiftly. We cater to customers that want direct service opposed to the 2-18 day delivery window common with most major van lines. 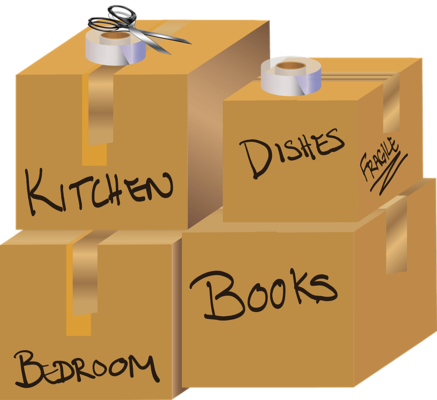 At All Jersey Moving & Storage, we do our best to accommodate last minute moves. Is your work-week schedule jam-packed? Unlike many van lines, we offer weekend pick-up and delivery service at no additional charge. We specialize in piano moving so you can have peace of mind knowing your instrument will be in expert hands. Consumer alert: I can’t stress enough how important it is that you hire a reputable mover. Do your research! Get three Quotes and beware of any companies that charge you based on the cubic foot. Most of the moving horror stories you hear relate to long distance moving. There’s no shortage of rouge movers ready to offer bogus quotes and false promises.